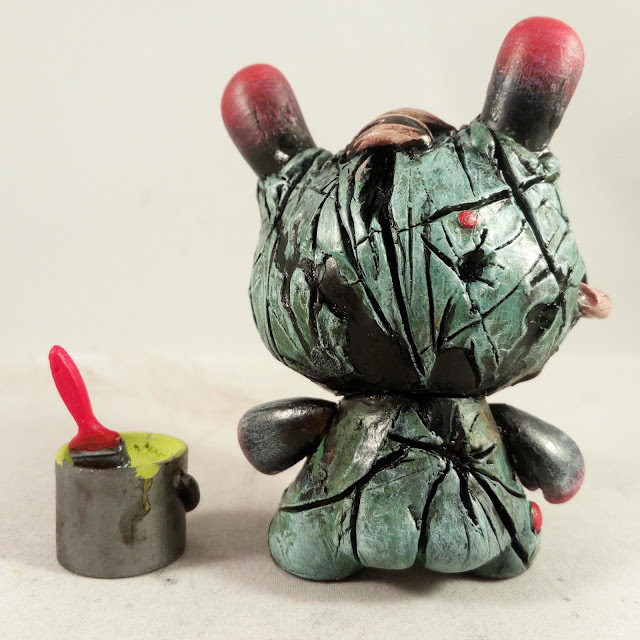 This little custom "Paint Eater" Dunny wishes he hadn't wondered what flavour it was..Now he might have the skwits in the morning.. Made whilst I recovered from having my appendix removed and being allergic to the antibiotics I was prescribed.. 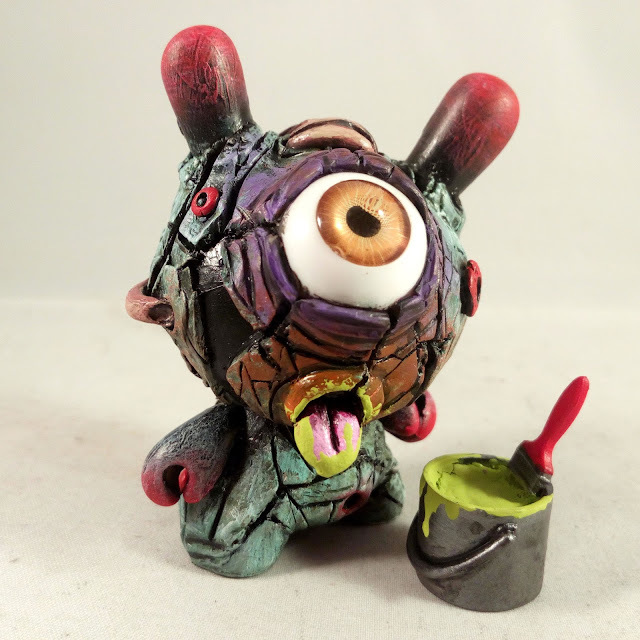 Currently available from the store, this little guy still has all of his articulation (head and arms) despite all of the sculpting and was hand painted with acrylics and sealed with a coat of lacquer. If you'd like him in your collection, you can find him in my Bigcartel store now..
To see more of my custom vinyl toys, check out the gallery section here..